Q. For Off Campus Drive Which one should I prepare MeritTrac or AMCAT? Ans. For Off Campus Recruitment Drive for Accenture we will suggest for you to prepare for AMCAT don’t worry its AMCAT only. Q. What is the level for Difficulty for Accenture Reasoning Paper? Ans. The paper is of moderate difficulty for this year but it takes a little more time to solve than the other sections. Ques. How much time is sufficient for preparation of the logical section for the Accenture paper, please help me? Ans. 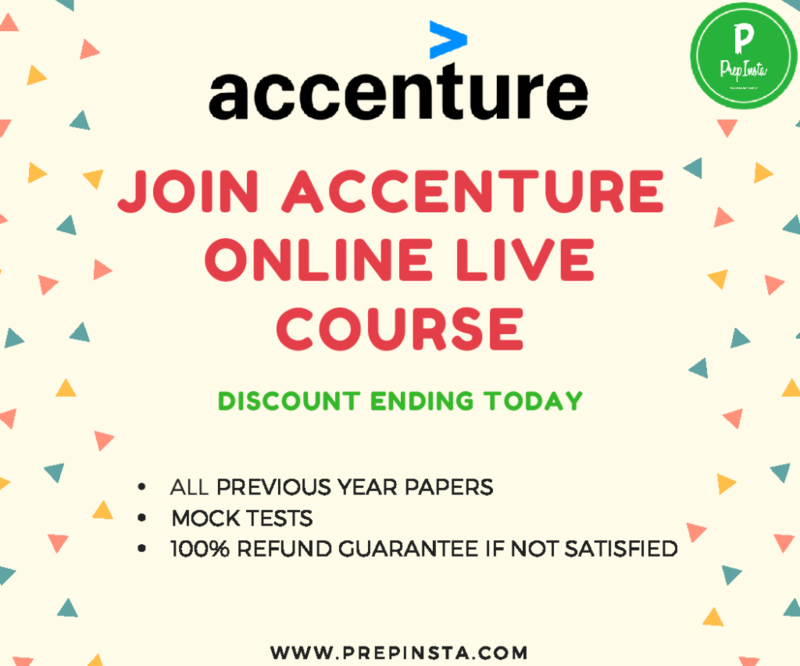 Hey, don’t be nervous, if you haven’t started preparation for logical section you just need 1 week to prepare and if you’ve already started preparation for Accenture Logical Reasoning Questions then we think a couple of days to brush up things. The AMCAT paper for Accenture was divided into three sections, and the test was of 95 minutes. The various sections were Quantitative Aptitude, Logical Reasoning, and Verbal Ability. The paper was of medium-difficulty . In this paper, each section had its sectional cut off percentage.